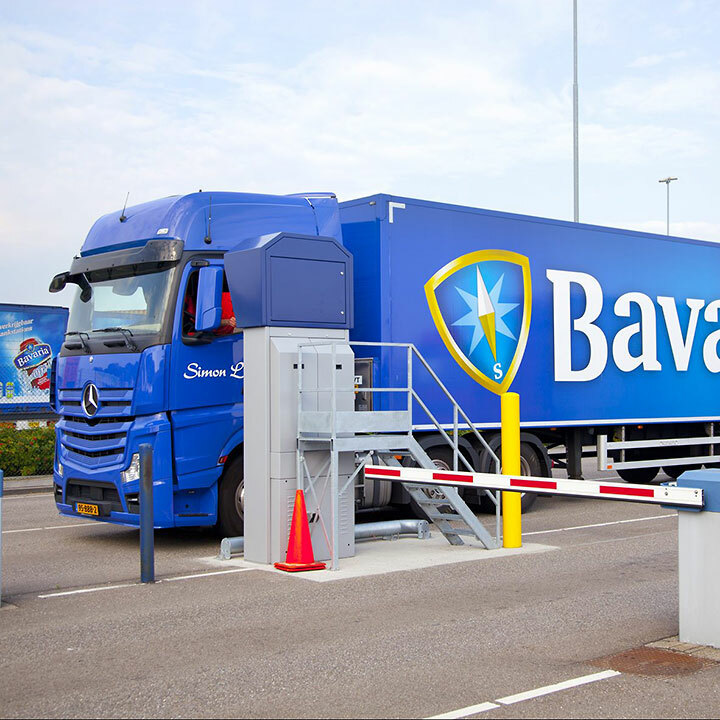 The renowned brewer Bavaria in Lieshout has achieved significant time savings for lorry drivers with a diz self-service outdoor kiosk. This “gigakiosk” (with a height of 3.2 metres) was specially designed for use from a lorry driver’s cabin. 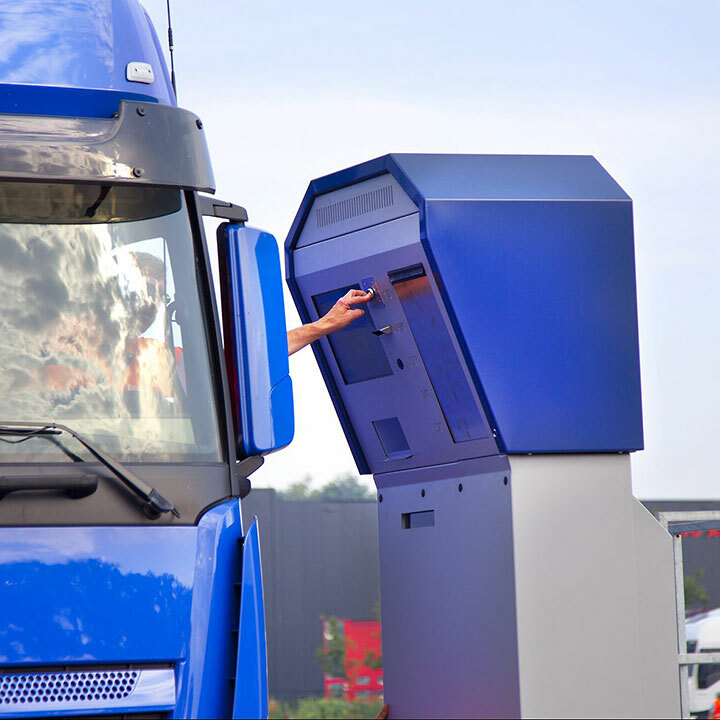 Deposit receipts can be registered and consignment notes issued without the lorry driver having to leave the cab. The diz self-service outdoor kiosk is finished in the familiar Bavaria house style and fitted with a high-bright touch monitor, sticker printer, barcode scanner and other features. 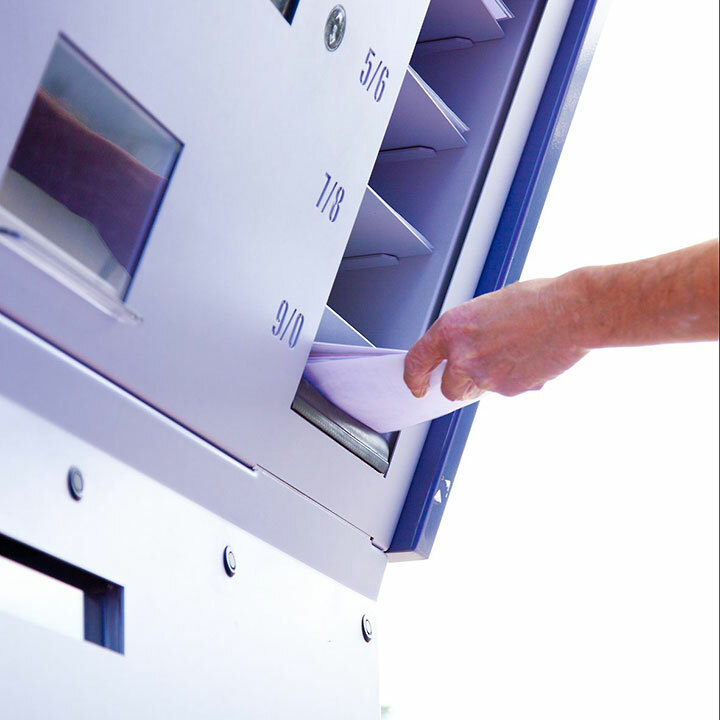 With this interactive digital solution diz offers a new form of service, so saving time and above all costs.